The identity of the CLIO spacecraft is a closely guarded secret making this mission one of the most secretive launches of the past decade. CLIO is operated by an unidentified agency within the U.S. Government that procured the spacecraft from Lockheed Martin. It is highly unusual that no agency claims ownership of a satellite – even the National Reconnaissance Office operating American spy satellites publicly announces its launches in advance. 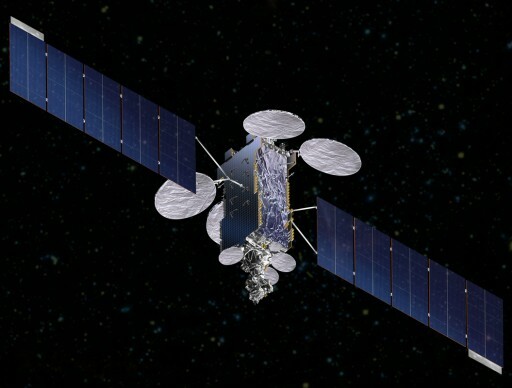 Lockheed Martin confirmed that the CLIO satellite is based on the company’s A2100 satellite bus employing commercial technology. According to Lockheed Martin, CLIO uses the common solar arrays, propulsion system and core electronics of the A2100 bus. A2100 is mainly used as a platform of communication satellites operating from Geostationary Orbit, however, the platform also builds the basis of the SBIRS-GEO (Space Based Infra Red Sensor) satellites hosting infrared scanning and staring sensors. This shows that A2100 can accommodate different payloads. So far, A2100 has only been used in Geostationary Orbit, but the platform can and will also be operated in Medium Earth Orbit once the GPS Block IIIA satellites begin deployment. The A2100 platform sports two deployable solar arrays attached to the satellite body that hosts all systems of the spacecraft including batteries, a bi-propellant propulsion system, ion-thrusters, a three-axis attitude determination and control system, flight computers and communications equipment. With flexible payload accommodations, electrical systems and different propulsion system options, satellites using the A2100 bus vary from masses of just under 2,000 Kilograms (e.g. Bsat-3a, AMC-7) up to 6,740 Kilograms (MUOS). The selection of Atlas V 401 as launch vehicle indicates that CLIO is in the lower mass range of the A2100 bus. Aside from confirming the satellite platform, Lockheed Martin provided no additional details on the satellite’s identity. No explanation for the CLIO mission name has been given. The mystery surrounding this launch draws parallels to the launch of the secretive PAN satellite in 2009. PAN, standing for Palladium at Night, was launched atop an Atlas V 401 on September 8, 2009 receiving the military designation of USA-207 once in orbit. PAN also used Lockheed Martin’s A2100 satellite bus and its operating agency remained unidentified. Prior to launch, the U.S. government acknowledged that PAN was a classified communications satellite. The same information was also released for CLIO, confirming that, like PAN, the satellite will likely be used to provide highly specialized secure communications services. PAN was tracked by amateur satellite observers ever since showing up in Geostationary Orbit, starting out in an orbital position of 33 degrees East. Over the course of its mission, PAN performed several relocations which is highly unusual for a standard communications satellite. The spacecraft was tacked in different positions between 33 and 52.5 degrees East. This movement of the satellite clearly indicates that it supports tactical operations ongoing in different locations on Earth. A theory on PAN’s identity that is widely accepted is that the spacecraft is a gap-filler between the Ultra High Frequency Follow-On satellite program and the Mobile User Objective System providing global narrowband communications primarily for mobile users. This claim is supported by measurements of the beacon frequency of the satellite that was identical to that of UFO. After PAN’s launch, a photo showing the satellite was made public by Lockheed Martin leaving only the question of the operating agency unanswered. Whether CLIO is also a geostationary communications satellite similar to PAN or a completely different spacecraft may become evident when the satellite is tracked in its operational orbit. United Launch Alliance has published the complete timeline for CLIO’s launch which coupled with the launch window for this mission could provide clues on the target orbit which has not been disclosed. The release of the mission profile is also unusual as most launches of secret satellites such as NRO birds do not publish their launch profiles. The mission profile for CLIO calls for a nominal ascent mission of the Atlas V Common Core Booster followed by a long 13-minute 40-second Centaur upper stage burn setting the stage for a two-hour 30-minute coast phase. This burn duration suggests that the mission is targeting an elliptical transfer orbit with an estimated inclination of around 25 degrees. The second centaur burn will occur over the Indian Ocean lasting for one minute and ten seconds. CLIO release is planned at T+2 hours 51 minutes and 52 seconds. This mission duration & profile deviates from a standard GTO insertion (185 x 35,786km) that would take around 35 minutes and a Super-Synchronous Profile (225 x 50,000km) which has a similar duration. The CLIO launch profile suggests either a Medium Earth Orbit insertion or an injection into a Geostationary Transfer Orbit with increased perigee. The GTO with high perigee is more probable due to the short duration of the second Centaur burn that is in line with previous missions that followed this type of profile. CLIO’s orbital destination will be confirmed by satellite trackers around the world who will start looking for the satellite following launch and follow the maneuvers performed to place the satellite in its operational orbit. The exact purpose of the satellite and its operating agency will remain secret. CLIO could also be the replacement of the AMC-14 satellite. AMC-14, built by Lockheed Martin using the A2100 bus, was originally constructed as a commercial communications satellite for operation by SES Americom. 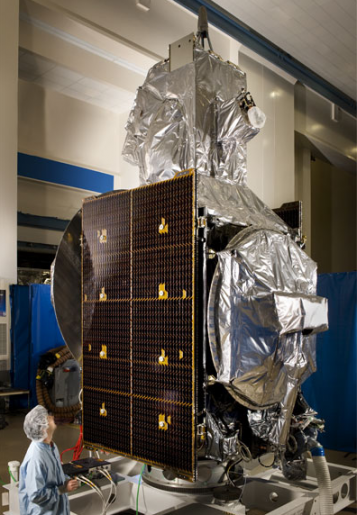 Launched on March 14, 2008, the satellite failed to reach its intended Geostationary Transfer Orbit. Maneuvering the satellite into an Geostationary Orbit with 0° inclination (above the equator) would have consumed much of the satellite’s propellant, considerably shortening its operational life. Deemed a complete loss by SES, the company claimed the insurance for the launch but also started negotiations with several potential buyers of the satellite. In the end, the satellite was sold to the U.S. Department of Defence to be operated for an undisclosed purpose. 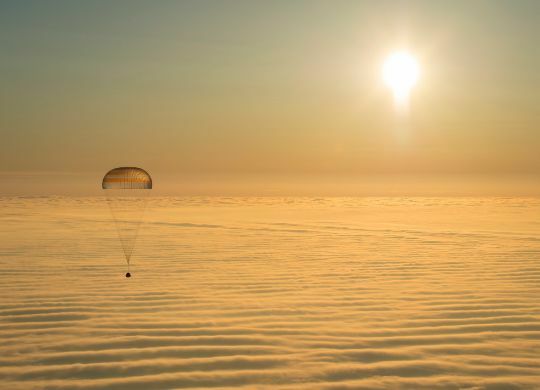 The satellite entered an inclined geosynchronous orbit at 35° East, inclined 13.1°. It is unknown how much propellant was left to operate the satellite and it is entirely possible that the spacecraft is coming close to exhausting its fuel supply and needs to be replaced.